Perhaps it’s more true today. The Internet, for good or for ill, has shrunk the world. I love the fact that here at InspyRomance we have commenters from all over — Australia, Argentina, Canada, and so many other places. Our bloggers are internationally diverse as well, coming from places like England, Australia, Canada, and South Africa (I don’t think I missed anyone in that lineup, but if I did, I apologize!) 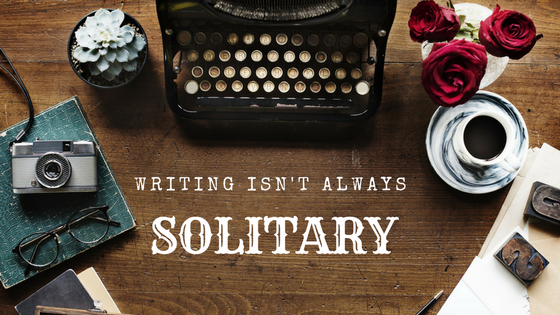 And, thanks to the Internet, no writer has to be alone unless they want to. We don’t even have to work alone. 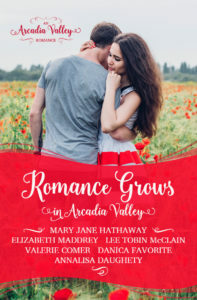 Over the last year, I’ve been thrilled to be a part of the Arcadia Valley Romance series. In February, we officially enter the final round of novels in the series. I’m sad to see this collaboration coming to an end. It’s been exciting to spend time chatting with the five other authors in the group, forming our town, finding ways for our characters to interact, and generally sharing the writing life with one another. Last year seems to have been the year for collaboration, because in addition to Arcadia Valley, I was part of two boxed sets. Now, boxes tend to have a little less interaction than a series where there’s going to be overlap with characters and the town, but there’s still a good bit of interaction–enough that I never find life to be particularly solitary when I’m part of an upcoming box set. This year, in addition to finishing out the Arcadia Valley series, I’m part of the Tuscan Legacy series Marion introduced on Saturday. I just completed my contribution to the project, and I’m very excited for y’all to get a chance to know my characters. Our little Tuscany Facebook group is always hopping–some days I look at my notifications and realize I need to come back when I actually have time to be there instead of trying to catch ten seconds between helping kids with their schoolwork. I’m also a member of four different online writer’s groups where we can chat, ask questions, whine (cause let’s be real, sometimes you just need to whine to a group of people who get it), and support one another. Best of all? I love the fact that I have a lot of different ways to interact with readers. All of you lovely InspyRomance readers are so fun to chat with in the comments. Then there’s my Facebook page and the special group I have for super fans who want to help me spread the word about my books. If nothing else, I think all the opportunities for interaction and community will help us avoid churning out another ream of poetry to sing to TV theme songs and more navel contemplation than is healthy. ;) I think that’s a good thing. What’s your favorite way to interact with authors and other readers? HI Elizabeth, thanks for sharing more about what it is to be a writer. I have to admit that the stereotypical picture you painted has crossed my mind a few times when thinking about writers:) so it is great to know you all have such great communities to be part of. Hi Elizabeth! Thanks for an informative blog about the life of a writer. As a reader, I have enjoyed interacting with authors first through emails and now through blogs and Facebook. As Wemble stated, it is fun not only to interact with authors, but also readers. Looking forward to the final round of novels set at Arcadia Valley and the new Tuscany Legacy series. Blessings and Happy Writing. Thanks, Renate! I always love seeing what you have to say. I’ve enjoyed the Arcadia series. I love interacting and learning from the authors and readers on inspyromance. Life is getting back to normal as we’ve returned home this weekend after my daughter had her baby. Yay! We love having you. Oh that sounds like a great movie. I’ll look for it! I enjoy any way the authors want to interact with us as readers. Learning more about the book and/or the author always make their books more dear to me, and opens a new way of understanding the book. Great post! I like that perspective – that interaction makes the books a little more personal. I interact with authors and other readers mainly through blog posts and e-mail. As a reader, I always do a little happy dance (at least in my head 😊) when an author responds to a comment I’ve left on their blog post! Aw. We do a little happy dance when y’all comment too! I love all your books, & I love the Arcadia Valley series. I love interacting with you as well as others on e-mail as well as Facebook. I feel like you are one of my dearest friends even though we have never personally met. I look forward to this new series as well as your last book in this series. I'm happy so many of you enjoy email, too! It continues to blow my mind that in this day of Facebook and email, I can connect with my favorite authors and they actually write back to me! I’m hoping that some of you end up at a Mt Hermon Writer’s Conference some day so I can actually meet you! (I live within 10 min. of Mt Hermon). I’m not on Facebook or other social media so I don’t connect with authors that way but I enjoy reading this blog and getting to interact with the authors in the comments. I also enjoy receiving newsletters from different authors. Yay! Blogs and email are great — and good for you staying off social media. Sometimes I want to just turn it all off myself! PTL for the internet, which lets us collaborate, and have an awesome level of communicate with our readers! Right?! And I think we can definitely blame the lack of phone for Emily’s death ;) or at least, I’m going with that now. Hi, Elizabeth. This is a test to see if I can comment from my phone.